CSL specialise in designing transit and end-of-line conveyors for handling packaged or boxed products in a factory or production environment. 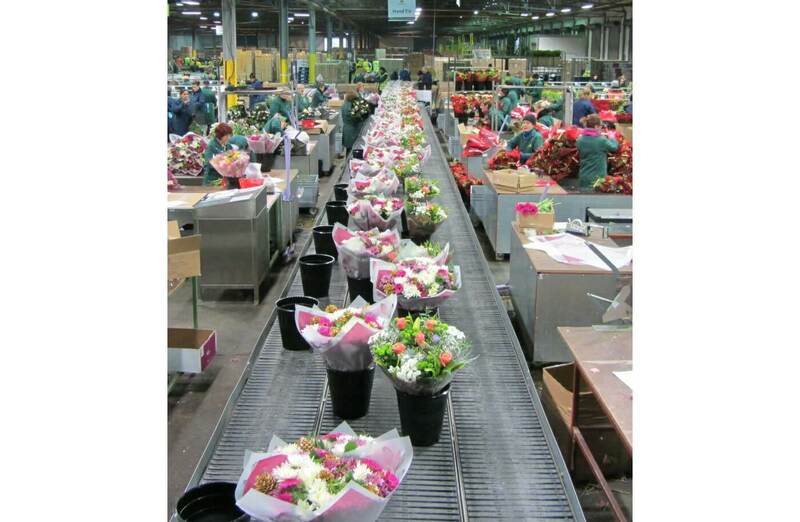 Often the conveyor system moves products between processes or after completion to either a packing area or warehouse storage/marshalling areas. 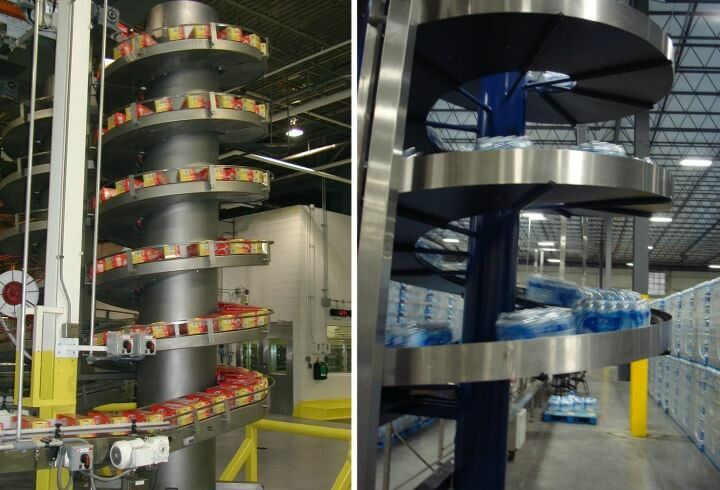 CSL can also offer solutions to provide inter-floor conveying using a spiral elevator or a choice of vertical elevators to suit the application. 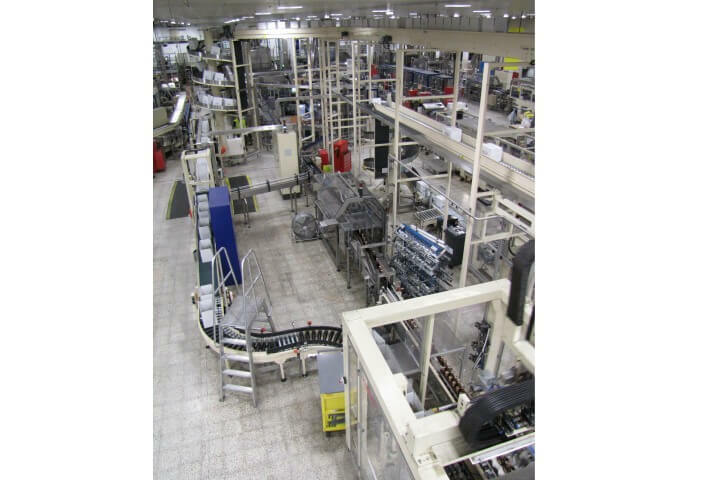 Why Install a CSL factory/production Solution? 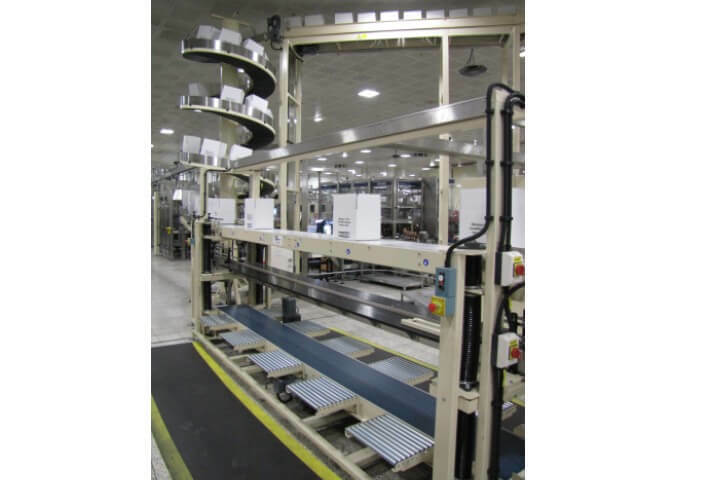 Belt conveyorscome in various forms with different style belts such as smooth, grip face, modular plastic. They are commonly used in factories and production areas for elevating products above head height or to elevate/decline between different floors. They are also ideal for conveying small, loose or delicate products which cannot travel on rollers due to size, shape, material, weight, rigidity etc. CSL offer a full range of powered roller conveyors and motorised roller conveyors manufactured from either aluminium, mild or stainless steel. 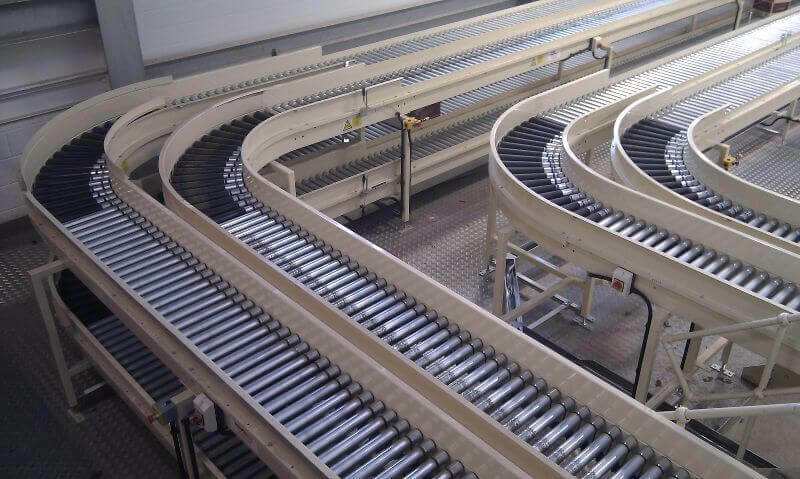 Roller conveyor solutions can be both modular and bespoke and made up from multiple conveyor modules providing highly efficient and flexible solutions. A number of widths and bolt-on devices ensure most applications can be catered for. 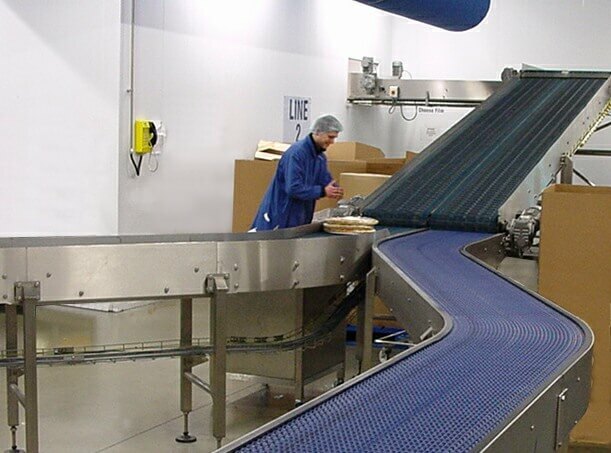 Motorised (zero line pressure/ZLP ) roller conveyor can be used for accumulating products where non-contact must be maintained. 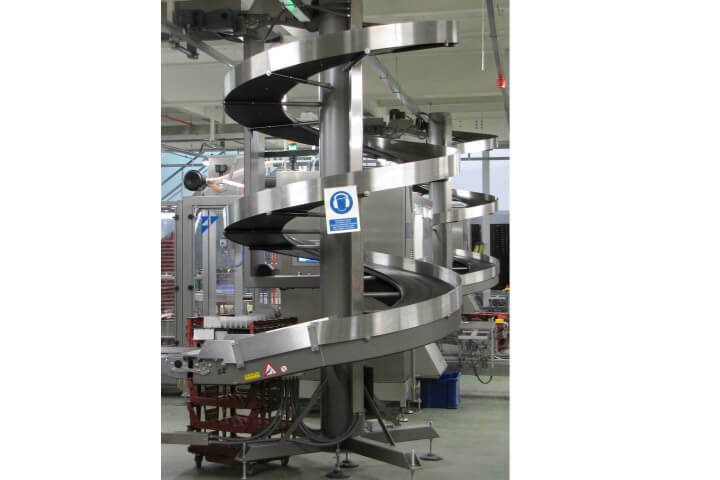 Ambaflex spiral elevators/lowerators provide a constant feed from several floor levels with a maximum lift of 20m. The shallow gradient and high grip slats make the spiral perfect for handling totes, cases, cartons and bags etc. Spirals are also reversible as standard for 2-way operation. The CSL range of vertical elevators includes platform and continuous elevators both of which have small footprints and can feed to and from different floor levels. They are suitable for handling anything from small boxes up to large pallets.